GBA's Annual General Meeting; OhmConnect in the Spotlight! In the U.S., regulators, utilities, innovators and industry stakeholders continue to participate in information-sharing sessions in order to discuss best practices for providing utility customers with easy, digital access to their own energy data and the ability to authorize the secure sharing of their data for additional analysis via Green Button Connect My Data : the industry’s proven data-access and secure-data-sharing protocol. 26 March: The New York Department of Public Service (NY DPS) held it's second session in the on-going Green Button Connect (GBC) Working Group series. Energy data access and data security agreements for DERs were among the topics covered. 05 March: The Michigan Public Service Commission (MPSC) held a Data Accessibility Stakeholder Forum at which utility DTE Energy noted it will offer its customers certified Green Button Download My Data functionality and the ability to set-up on-going sharing of data with others they trust beginning 01 June 2019. The utility Consumers Energy noted its Green Button Connect offering is already in development and will be made available to customers in September 2019. The Green Button Alliance and others also participated in the meeting. 12 February: New Hampshire PUC staff, via a report on grid modernization, concurred with a working group that the use of standards and protocols including Green Button Connect My Data for data sharing can facilitate interoperability, empower third parties, and provide the opportunity for customers to reduce their costs. 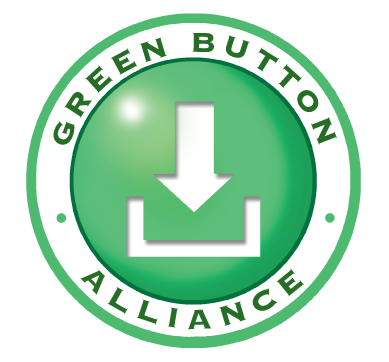 The Green Button Alliance will provide a Green Button Connect My Data market adoption update during it's Annual General Meeting on 10 April at the CS Week Conference. GBA members and non-members can RSVP to attend in-person or participate remotely. GBA member Energy Toolbase announced its platform now includes Stem, Inc., the world leader in Artificial Intelligence (AI)-driven energy storage services. This addition gives solar and storage project developers who use Energy Toolbase the opportunity to design and deploy solutions based on Stem’s energy storage controls. Distributed energy providers can now simulate project performance, analyze financial returns, and develop sales proposals informed by Stem’s Athena AI platform and rich operating experience. As a homeowner, renter, or small business owner Californians and Ontarians can access their data through the Green Button Connect program. ‍But even better than being able to see your home’s energy usage data, is to use it to your advantage. Summer is OhmConnect’s busiest time of year. Demand on the grid is highest when the mercury rises (and households across California and Ontario are blasting their air conditioning units), meaning participants can earn hundreds of dollars for the energy they don’t use and major strides can be made towards keeping the grid functioning as it should . The GBA hosts the OpenADE Task Force technical meetings every Tuesday at 3:00pm ET, both GBA members and non-members are invited to attend. Visit the GBA's online calendar for logistics. 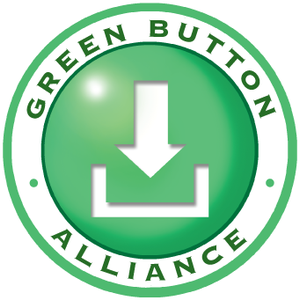 The GBA's monthly Green Button Global Marketing Meetings occur the first Wednesday of the month at 3:00pm ET. The next meeting will be held on Wednesday, 03 April. All GBA members are invited to attend this 30-minute meeting. Participation logistics will be emailed—or login to download the information. The GBA's 2019 Annual General Meeting will be held on 10 April at 8:30-9:30am MST at the CS Week conference in Phoenix, Arizona. GBA members and nonmembers are invited to join either in person or remotely. To attend the meeting, please RSVP. The GBA's next All-Member "Pulse" Call will be held via dial-in and web on 16 April at 2:00pm EDT. Participation logistics will be emailed. 26 March: "Department of Energy Announces $130 Million for Early-Stage Solar Research Project," Department of Energy press release. 25 March: "Five Ways to Move the Needle with 'Selectively Engaged' Energy Consumers," Electric Light & Power magazine. 19 March: "National Constitution Center, ENGIE add Green to the Red, White and Blue of America's Town Hall in Energy Deal," Oil & Gas 360. 18 March: "ENGIE Acquires Swiss Start-up to Achieve Energy Transition Goals," Smart Energy International. 15 March: "Con Edison Pilot Program to Offer Price Break for Off-Peak Energy Use," SILive. 11 March: "It's 2050 and This is How We Stopped Climate Change," NPR. Sila Kiliccote, CEO, eIQ Mobility interviewed. 11 March: "Energy-Efficient Investments Boosting Real Estate Portfolio Evaluations," by Forbes. Logical Buildings featured. 19 February: "Can Energy Data Access Give the Internet of Energy Back to the People?," by KWHCoin. 06 March: "These Food Technologies Are Ripe for Innovation," Forbes. Wexus Technologies featured. 21 February: "SDG&E Moving to Time-of-Use Pricing to Support Clean Energy," Times of San Diego. 06 February: "Smart Energy Water and IBM sign Multi-Year Agreement to Speed Innovation on the Cloud," IBM press release.